At least three more Savannah State football players have decided to leave the program. According to their social media posts, Donald Rutledge, Michael Police and Dentarrius Yon have decided to move on. Rutledge, a defensive back, was third on the team in tackles in 2018 with 53. The Sumter, South Carolina native who transferred to SSU from The Citadel, earned his undergraduate degree in interdisciplinary studies in December 2018. He has transferred to Georgia Southern and is eligible to play for the Eagles during the 2019 season. Police was a 6-2, 310 freshman defensive lineman from Pahokee, Florida. Last season Police played in five games and made two tackles. Police plans to enroll at Navarro College. Yon was recruited as a quarterback for the Tigers out of Havana, Florida. Yon, who did not see any game action in 2018, plans to attend a junior college. The Cleveland Browns have hired former Savannah State football coach as their defensive coordinator. Wilks joins the Browns after one year as the head coach of the Arizona Cardinals. Prior to that, he was the defensive coordinator for the Charlotte Panthers. The Charlotte native has also worked with the San Diego Chargers and Chicago Bears on the professional level. 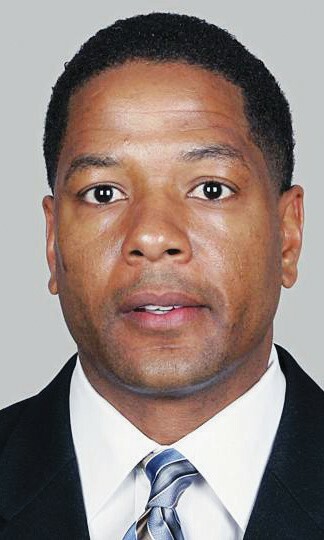 Wilks served as the Savannah State interim head coach in 1999 and the year before that was the Tigers defensive coordinator. In 1998, under his leadership, SSU’s defense led the nation in total defense and rushing defense to become the top-rated Division II defense team in the nation in 1998. The national ranking earned Wilks the title of Division II Defensive Coordinator of the Year by the American Football Coaches Magazine. After leaving Savannah State, he continued working the college circuit at Illinois State, Appalachian State, East Tennessee State, Bowling Green, Notre Dame and Washington. 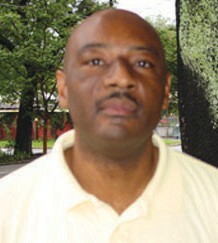 Wilks got his coaching start at Johnson C. Smith in 1995. The Savannah State basketball teams split a double-header with visiting South Carolina State on January 26 in Tiger Arena. In the women’s game, the Bulldogs led 17-7 after the first quarter and went on to a 71-60 victory over SSU (4-10). SSU freshman Myasia Jones led all scorers with 20 points while Jacquece Alston added 11 points, 7 rebounds, 6 steals and 3 assists off the bench. In the men’s game, Savannah State let a ten point lead slip away but held on for a 92-88 victory. Junior guard Zach Sellers scored a career-high 29 points while teammate Zaquavian Smith scored 20 and freshman guard Collins Joseph chipped in 10. Savannah native Burney Lee Adams died on January 23 in New Jersey. The youngest child of William Bradford Adams Sr. and Louise Hilton Adams, he was born in Charleston, South Carolina and grew up in Savannah where he graduated from St. Benedict Elementary School and St. Pius X High School. Because St. Pius X did not have a football team, Adams played football for Tompkins High School under Joe Turner. After high school, he served in the military in Germany as a paratrooper and played football for the 11th Airborne. He received an honorable discharge in May 1958 and returned home to Savannah for a brief period before going to Florida A&M University in August 1958 for a one-week tryout as a walk-on for the football team. Adams made the varsity. Of the 61 Freshmen who received scholarships that year, Adamswas one of only three to make the esteemed varsity traveling squad. He was so fierce on the football field, his teammates nicknamed him “Killer Boy”, a name that stuck with him even to this day. Adams received his Master’s Degree in Education Administration & Supervision from Rutgers University and completed his certified PhD equivalency hours and coursework, in Education at Jersey City State University. Additionally, he completed and received several post-graduate certifications from Montclair State University, Kean University and Jersey City State University. 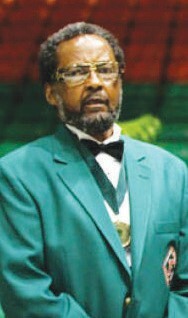 In 2002, Adams retired from coaching. In May 2013, The Weequahic High School Father’s Club instituted the Burney L. Adams Trophy (The Burney Trophy) that is awarded to the outstanding player, meeting its eligibility criteria established by the WHS Father’s Club. A visitation and praise service held Jan. 29 at Christian Pentecostal Church of Christ in Irvington, N.J.
Funeral services will be held 11a.m. on February 4 in Savannah at Resurrection of Our Lord Catholic Church located 112 Fell St.
A visitation with the family will be held from 5:00 P.M.-7:00 P.M., Sunday, February 3 in the Adams Chapel. Public viewing will be held from 12:00 P.M.-4:00 P.M., Sunday at the funeral home. Interment will be at Lincoln Memorial Cemetery.